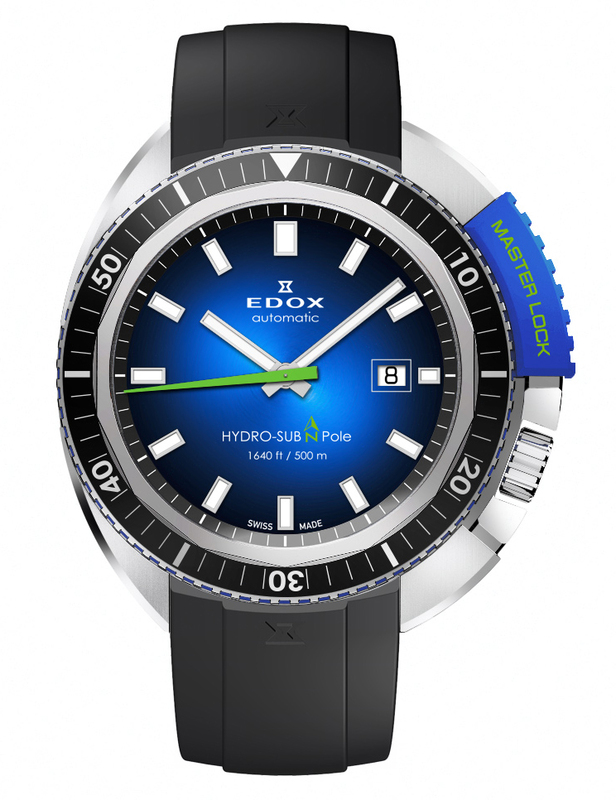 Edox has announced that it is set to launch a Limited Edition Hydro-Sub to mark its 50th anniversary celebrations. The 46 mm timepiece will be produced in stainless steel and will contain an in-house Hydro-Sub automatic movement that is based on the SW 200. It has been designed to perform without fault on land or underwater and is unidirectional rotatable. 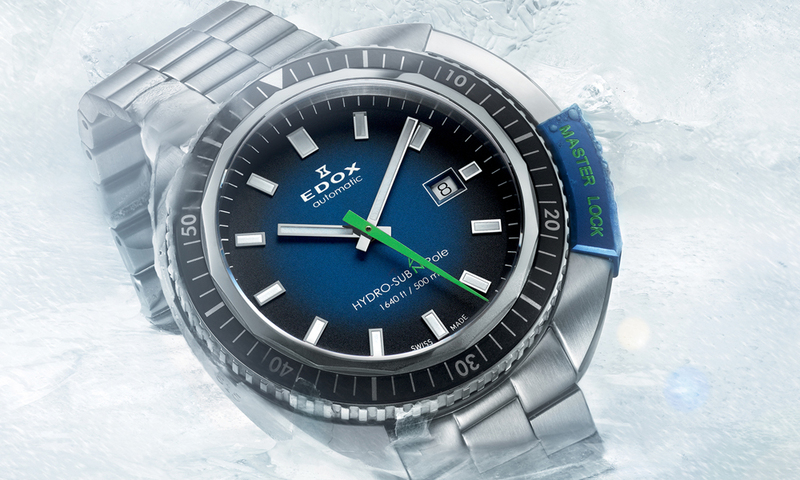 A highlight of the watch is the addition of the Edox MasterLock. Located on the bezel at the 2 o’clok position, it can be slid across to protect the crown whilst diving. A double o-ring gasket ensures that it is water-tight. The Hydro-Sub’s blue dial is complemented by white and green markers and details, allowing it to be easily read in a variety of lighting conditions. The caseback of the piece will be individually numbered and will feature an exclusive North Pole engraving. Each piece is supplied with a special box which includes a tool that allows the wearer to swap the stainless steel bracelet for a hypo-allergenic rubber strap. 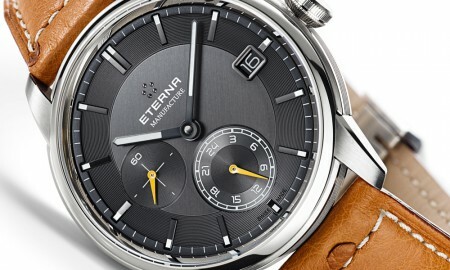 The Hydro-Sub 50th Anniversary Limited Edition will be available in a limited quantity of only 515 pieces worldwide. Much alike the original, the Hydro-Sub is water resistant up to 500 meters.